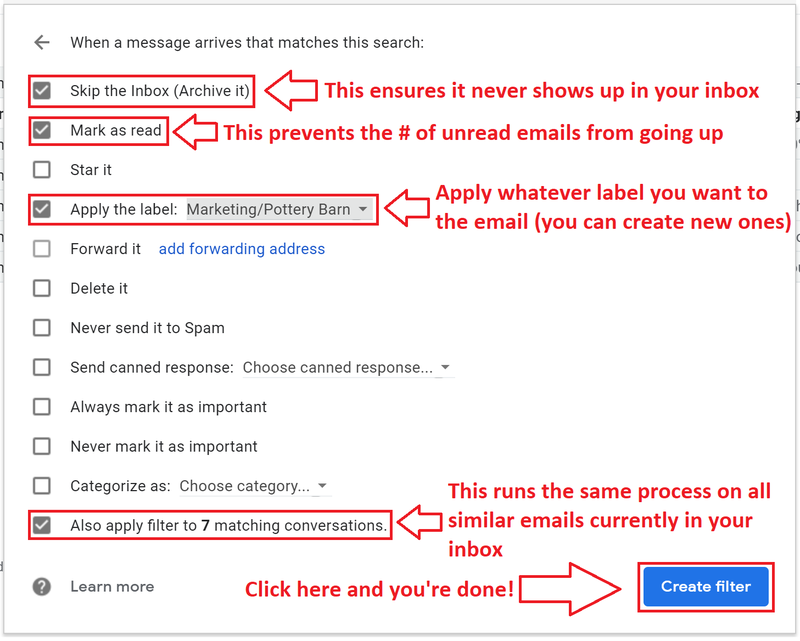 If you’re like a lot of people these days you find yourself checking email mindlessly. You may not be waiting for anything in particular, but it feels so irresistible to just check it, just in case, who knows what could be waiting! More often than not there’s not much exciting in there, and there’s a whoooole lot of BS to sort through. Sadly, we all know that day when you magically have a lot of time isn’t going to come. Instead, I suggest reducing the total volume of email you have so you don’t have to sort through as much junk, and it won’t be sitting in the back of your mind, beckoning you to check it all the time. The easiest way to do this is to just unsubscribe from all the newsletters / marketing that you’d LIKE to get around to (but realistically you’re not going to get around to them anytime soon). This is where personally, I have a barrier. I have so many diverse interests, and of course have FOMO (fear of missing out), so I have a really hard time clicking that unsubscribe button. So here’s what I do instead to have my cake and eat it too — I filter the messages to automatically archive in my email, so I never see them, but I can always go back later and find them if I want to. Trust me, this is more powerful for reducing stress than you might think! 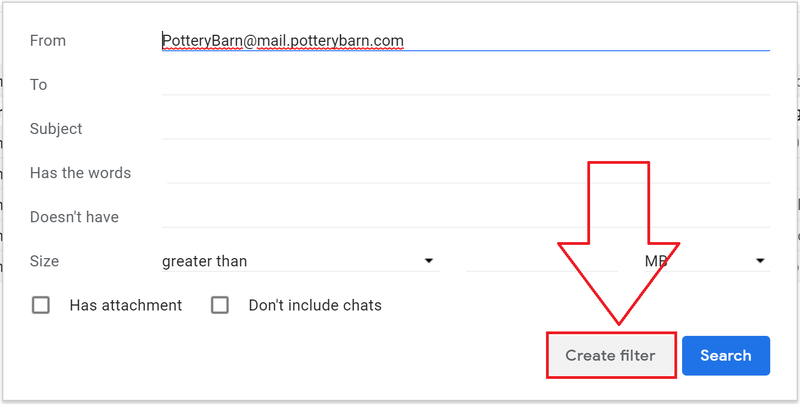 Below I run through the step-by-step instructions for doing it in Gmail, but most email providers are roughly the same — enjoy! 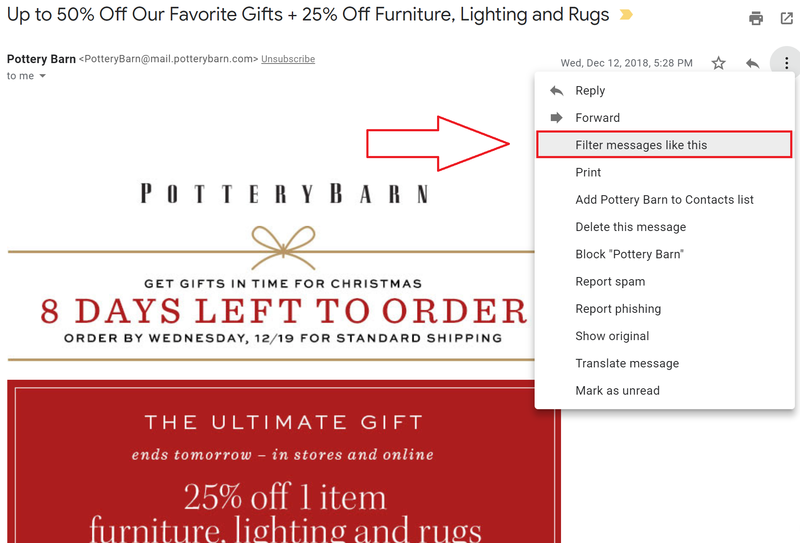 Step 4 – When you want to find those emails you’ve auto-archived again, scroll through the labels on the left, click the label you want, and voila!